Designed to be worn on the ankle inside the trouser leg for maximum concealment. This holster is wet molded into a compact shape and equipped with a quick release thumb break safety strap. The shearling padded ankle band is made with an adjustable strap with Velcro®. 55/LCP fits KEL-TEC P-32, Ruger LCP . Designed to be worn on the ankle inside the trouser leg for maximum concealment. 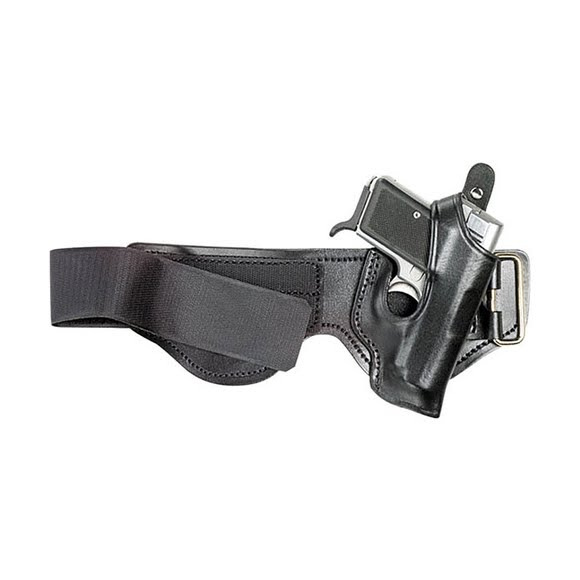 This holster is wet molded into a compact shape and equipped with a quick release thumb break safety strap. The shearling padded ankle band is made with an adjustable strap with Velcro®.